Uterine Fibroids: Is there a dietary link? If you have clients who run, walk, bike, hike, weight train, or engage in other aerobic activities, you’ll need to educate them about the importance of drinking enough water to stay hydrated this summer. In this month’s E-News Exclusive, Today’s Dietitian spoke with Jessica Crandall, RD, CDE, a spokesperson for the Academy of Nutrition and Dietetics, who provides lots of tips on how clients can obtain adequate fluid intake during physical activity. She discusses electrolytes and how to replace them, ways to add flavor to the bland taste of water, and why beverages containing caffeine may not be the best fluids of choice. Be sure to visit Today’s Dietitian’s website at www.TodaysDietitian.com. You’ll find great news and information that’s relevant and reliable to daily practice. We welcome your feedback at TDeditor@gvpub.com. 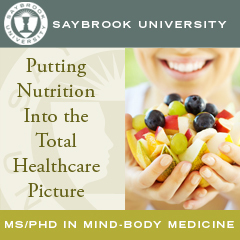 Enjoy the e-newsletter and follow Today’s Dietitian on Facebook and Twitter! With the warmer weather already here in many parts of the country, most of your clients who’ve been suffering from cabin fever are ready to get out of the house and enjoy the sunshine. But as they contemplate the opportunities for increased outdoor activity, they’ll need to consider a potential warm weather hazard: dehydration. While dehydration isn’t solely a concern during the hot summer months (people can become dehydrated during the winter due to illness), the more a person sweats, the more fluid must be replaced. For this reason, Jessica Crandall, RD, CDE, a spokesperson for the Academy of Nutrition and Dietetics, recommends clients start the day with a tall, cool glass of water. Have a dietetics-related question that you would like an expert to answer? E-mail TDeditor@gvpub.com and we may feature your query! From messenger bags and tote bags to apparel and journals, the Today's Dietitian gift shop has the perfect gift for any nutrition professional to display or wear with pride. Check out our secure online shop today or call toll-free 877-809-1659 for easy and fast ordering. A new study, highlighted in the Los Angeles Times, shows that more aromatic foods result in smaller bite sizes. According to USA Today, in April Starbucks is rolling out a fruity, carbonated drink that's high in antioxidants and uses unroasted, green coffee extract for the energy boost—but has no coffee taste. Epidemiologists have long warned that, in addition to causing obesity, eating too much fat and sugar puts a person at greater risk of colon cancer. Now, researchers at Temple University in Philadelphia have established a link that may explain why. The findings were published in the March issue of Cancer Prevention Research. Learn about food labeling in this month’s issue of Today’s Dietitian. Read the CPE Monthly article, take the 10-question online test at CE.TodaysDietitian.com, and earn two CPEUs! As you plan for the May 31 re-certification deadline, remember that the Today's Dietitian CE Learning Library is always open, always available, to provide RDs with opportunities to earn credits. Of course, as always, we'll still have an article and exam in the magazine for credit, so look for our CPE Monthly feature in every issue, including our upcoming May issue. So log on at CE.TodaysDietitian.com today to open an account and get started with your first course. Be sure to change your TCPE bookmark to our new CE Learning Library. AlliedHealthCareers.com is the premier online resource to recruit nutrition professionals. Post your open positions, view resumes and showcase your facility's offerings all at AlliedHealthCareers.com!